A third-quarter burst from Newcastle undid the Giants’ good first-half work as the home team came from behind for victory. The Giants took the first quarter 30-14 and went in at the half 48-39 ahead. But the Eagles started the third-quarter with a killer 18-0 run as the Giants came out cold for the second half. 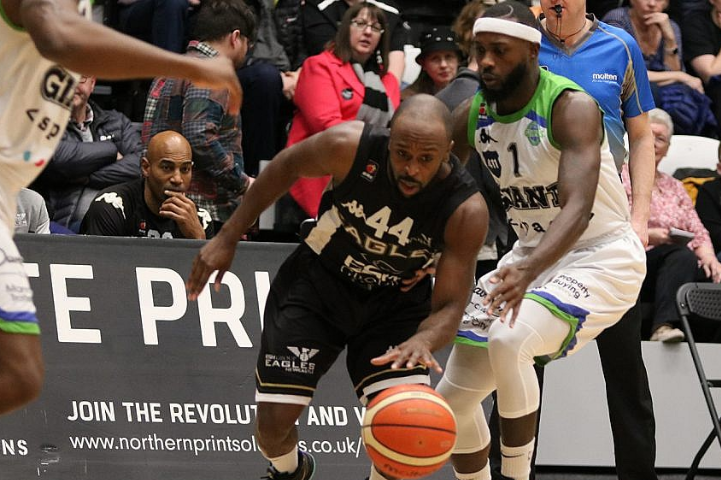 And Danny Byrne’s men could not find a way back as Newcastle entered the fourth period 73-67 up and moved further into the lead. Mike McCall had a double double of 19 points and 10 assists, while Callum Jones had 18 points, Willie Clayton 17 and 14 rebounds and Torry Byler 16, 11 rebounds and eight assists. Rahmon Fletcher (26), Jeremy Smith (23) and Kai Williams (20) were the danger men for Newcastle. Ingus Bankevics was missing with injury. The Giants host London City Royals at George H Carnall on Thursday. Get your tickets here.